Salman Lutfi is founder of the firm Lutfi & Co and the Senior Partner. Educated at Al Shams Law School, Cairo, Egypt, and trained in England, Salman was admitted as a lawyer in the United Arab Emirates (UAE) in 1982. Salman founded Lutfi & Co in 1982, which makes it one of the longest established and most reputable law firms in the UAE. Salman is one of the UAE’s most experienced court advocates, having conducted some of the UAE’s most celebrated litigation matters. He has been involved in all types of cases, and has appeared before all UAE courts representing large and small corporations and individuals. Being an Emirati with an extensive network of contacts, Salman is also well placed to provide strategic corporate and commercial advice in relation to establishing and conducting commercial operations in the UAE and identifying appropriate UAE partners and sponsors. Salman is a member of the International Bar Association, UAE Juris Associates and has right of audience before all courts in the UAE and the DIFC Courts. He is fluent in Arabic, English, Persian, French and Hindi. Sreehari (Harry) is a corporate / commercial lawyer with expertise in corporate / M & A, company / corporate transactions, banking and finance, general commercial law, corporate finance, construction and DIFC laws. He is qualified to practice law in England, India and the United Arab Emirates (UAE). Harry is a registered Part II practitioner with full rights of audience before the Dubai International Financial Centre (DIFC) Courts. He is also registered with the DIFC Wills & Probate registry as a Wills Draftsmen. Represented and advised Fortune 500 clients and Indian business conglomerates in connection with corporate finance transactions including high profile tender offers, projects and public offerings. Advised one of the world’s largest computer manufacturers on joint venture operations in Egypt, Saudi Arabia, Bahrain and Algeria. This included advice on all regulatory and taxation issues and preparation of relevant documents. Advised one of Europe’s leading auto manufacturers to regularise their operations with various distributors and agents in the UAE, Bahrain and Oman. Advised major international and local banks in the UAE. Harry has undertaken large transactional and litigious matters for and on behalf of the local and international banks operating in the UAE including the DIFC. Involved in setting up a number of multinational corporations, including manufacture, trading, retailing, distribution, finance, investment, insurance and construction companies in the UAE and Middle East. Harry has provided legal advice in the setting up of large financial institutions from the United Kingdom in Dubai under UAE Central Bank and DIFC licence. Involved in advising on and preparing a wide range of agreements relating to mergers and liquidation of companies, joint venture agreements, IPO’s and license agreements for manufacturing operations, management agreements, leasing agreements and consortium agreements. Providing advice to international companies on setting up operations in UAE mainstream. This involved negotiating with local partners and sponsors and drafting joint venture agreements, security documentation and all associated documentation. Also advised clients to set up operations in various free zones including DIFC. Providing whole array of advice to large construction companies, property developers and realtors in the UAE and the Middle East. Advised clients in and supervised their representation in civil and criminal litigation of all description in the UAE in a career spanning close to three decades. Represented various clients before the DIFC Courts. Harry was admitted as an advocate in 1985 in Mumbai and a solicitor of the Supreme Court of England and Wales in 1997 and an advocate of DIFC Courts in 2011. 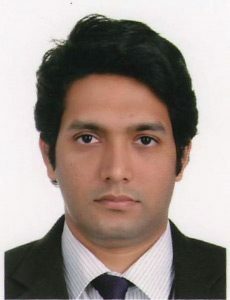 Harikrishnan is a legal consultant with Lutfi & Co since June 2009. His background prior to joining Lutfi & Co was in counsel practice. Harikrishnan’s expertise and practice focus are in the areas of corporate and commercial law as well as commercial dispute resolution. He is a key member of both the transactional and the dispute resolution teams. This experience has assisted him in developing a deeper understanding of the practical implications of specific contractual terms in the context of potential dispute resolution proceedings. He has considerable expertise and experience in International Trade law particularly pertaining to dispute resolution proceedings. Harikrishnan is a member of the Chartered Institute of Arbitrators and has expertise in Domestic commercial and real estate arbitrations in the UAE and in International Commercial Arbitration. He has inter alia advised clients in domestic arbitrations administered by DIAC and Ad Hoc arbitrations in the UAE supervised by the Courts. He has also advised parties to International Commercial Arbitrations under the ICC rules and UNCITRAL rules. He is familiar with arbitration rules and procedures of most major arbitration institutions. MJur (with distinction), University of Auckland, New Zealand, 1981 (thesis on law of marketing and product promotion). 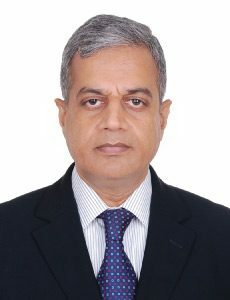 LLM, Dalhousie University, Canada, 1987 – papers in civil procedure, insurance, corporate finance and oil and gas law, thesis on commercial insurance contracts (holder of Dalhousie Postgraduate Scholarship). PhD, University of London, England, completed February 1998. Thesis entitled “Law and Economic Regulation in the United Kingdom” (holder of ORS postgraduate research scholarship). I took two years’ leave of absence from September 1994 to September 1996 to undertake full time thesis research and writing in London, England. My PhD thesis dealt with optimal methods of imposing and enforcing industry regulation and corporate governance in the UK and EC by litigation means, with particular reference to the financial services, telecommunications and public utilities industries. During the course of writing my thesis I also undertook field work with the UK financial services regulatory bodies and with OFTEL. 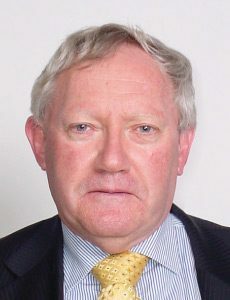 Barrister and Solicitor of the High Court of New Zealand (3 February 1978); National Court of Papua New Guinea (15 February 1983); Supreme Court of Victoria in Australia (1 July 1985); High Court of Australia (2 July 1985); Solicitor of the Supreme Court of England and Wales (1 September 1986); Higher Courts Rights of Audience qualification in England and Wales (31 July 2006); Barrister and Solicitor of the High Court of Fiji (22 September 2006); holder of current New Zealand practising certificate as a barrister in New Zealand. 1 July 2012 to present: practising as a barrister sole in Auckland, New Zealand specialising in civil and commercial litigation and domestic and international commercial arbitration, with a particular emphasis on banking and financial services disputes, construction disputes, competition law issues and commercial litigation, together with litigation in the Courts of Fiji and also in Dubai as external counsel Lutfi & Co (DIFC) in Dubai. August 2008 – June 2012: senior legal consultant and counsel with LutfiCBP, advocates & legal consultants, of Dubai (an association between the UAE law firm of Lutfi & Co and the Australian national law firm of Colin Biggers & Paisley), engaged primarily in litigation and international arbitration in relation to investment, property and construction matters, acting as UAE local counsel in relation to conflict of laws issues involving UAE law, acting as preferred local counsel for referrals by the Australian Trade Commission and the New Zealand Consulate. 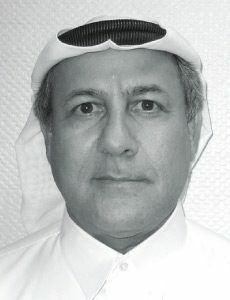 January 2007 to July 2008: senior legal consultant with Hadefs, advocates and legal consultants, of Dubai and Abu Dhabi, engaged in international arbitration and litigation matters. January 1989 to December 2006: partner and subsequently a senior litigation partner at Buddle Findlay, Auckland (with two year leave of absence from September 1994 to September 1996 to complete PhD studies at University College London); head of litigation department from 2004 to 2006, with specialist interests in the areas of banking and financial services, insurance, competition law, marine construction disputes relating to superyachts and commercial and tax litigation in Fiji. October 1987 to 31 December 1988: Senior associate with Buddle Findlay, Auckland, New Zealand. August 1986 – September 1987: Full time postgraduate study for 12 months at Dalhousie University, Halifax, Nova Scotia, Canada. Completed a Master of Laws degree with assistance from a Dalhousie Graduate Fellowship, including papers in civil procedure, insurance, corporate finance and oil and gas law and an LLM thesis on controlling the use of warranties and exclusions in commercial insurance policies. September 1983 – July 1986: Principal Legal Officer (Commercial), State Solicitor’s Office, Department of Justice, Port Moresby, Papua New Guinea – responsible for advising the government of Papua New Guinea on all of the State’s commercial and arbitration matters, including responsibility for a large international investment dispute involving the Ok Tedi gold and copper mine, negotiating the State’s mineral resources concession agreements, advising on corporate governance issues affecting State enterprises, mergers and acquisitions of State owned businesses, assistance with the preparation of new legislation in relation to petroleum exploration, foreign investment, negotiation and documentation of project financing agreements for the Ok Tedi and Bougainville gold and copper mines, advice to the State on money laundering legislation and related matters, part time lecturer at the Legal Training Institute of Papua New Guinea for local law graduates seeking admission to the PNG bar. June 1982 – August 1983: Assistant solicitor with the Auckland law firm of Malloy, Moody & Greville – engaged in commercial litigation matters. December 1978 – June 1982: Corporate legal counsel to MSI Repco Corporation Limited, a public company based in Melbourne, Australia and engaged in the automotive and engineering fields – general inhouse legal work including company secretarial matters, management of corporate litigation, corporate finance work and advice, mergers and acquisitions, intellectual property matters and the negotiation of joint venture and distribution agreements with local and overseas parties. January 1977 – December 1978: Law clerk and subsequently solicitor with Russell McVeagh McKenzie Bartleet & Co in Auckland – engaged in commercial litigation matters. Member of NZLS Law Reform Committee (2013 – 2015). Faculty Member on NZLS Litigation Skills Course from 2013. Member of the New Zealand Bar Association. Faculty Member on NZLS Advanced Litigation Skills course in Wellington in 2003, 2004 (course for Pacific Island lawyers) and 2005. Part time lecturer, Faculty of Law, University of Auckland, New Zealand, 1989-1994 (commercial law, company law, banking and finance law); 1999-2006 (LLM seminar on Law and Economic Regulation). Completed LEADR (Lawyers Engaged in Alternative Dispute Resolution) course for accredited mediator membership, 2003. Contributor to New Zealand Law Review on civil procedure issues from 1989. Junior counsel in three Privy Council appeals, Kuwait Asia Bank v National Mutual Life Nominees Limited  1 AC 187 (liability of nominee company directors); Deloitte Haskins and Sells v National Mutual Life Nominees Limited  2 All ER 1015 (liability of auditors of a corporate trustee company); Taiaroa v Minister of Justice (unreported, Privy Council, 13 June 1995) (application for special leave to appeal over challenge to MMP electoral regime). Counsel in fifteen New Zealand Court of Appeal cases from 1989 onwards (ten reported). Counsel in various cases before the Courts of the Dubai International Financial Centre. Counsel in various cases before the High Court and Court of Appeal of the Cook Islands and the Income Tax Court of Review, VAT Tribunal, High Court and Court of Appeal of Fiji. Presenter at various conferences on legal topics, including LexisNexis Electricity Industry Conference April 2001; Competition Law and Policy Institute Symposium 4 August 2001 (Judicial Review of Regulators); Fiji Law Society Annual Conference, 12-13 June 2004 (Conducting civil appeals in Fiji); Competition Law and Policy Institute Symposium 6 August 2005 (paper on the interaction between general competition law and industry-specific regulation).